With only 275 examples offered, many were left disappointed. After less than two days, the order books for the Cadillac CT6-V were closed. Why? All 275 planned examples were sold out. Many hopeful buyers were left empty-handed, but Cadillac doesn’t want to lose them to the competition. 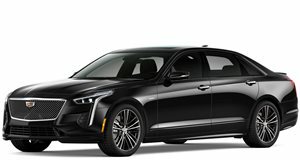 Cars Direct has uncovered information from order guides indicating that GM’s luxury brand is planning to offer a detuned version of the CT6-V powered by the same 4.2-liter twin-turbo V8, dubbed the Blackwing. Instead of 550 hp and 627 lb-ft of torque, the V8 will make 500 hp and 553 lb-ft. It will also have the same 10-speed automatic transmission sending power to all four wheels. What’s also interesting is that this less powerful CT6 will be more expensive. Each CT6-V costs at least $88,790, plus destination, but the less-potent version, called the Platinum 4.2, will actually be the most expensive CT6 variant, beginning at $96,760 (including destination). It’s also $9,000 more than the CT6 powered by the 3.0-liter twin-turbo V6 with 404 hp. It is less expensive, however, than the Escalade Platinum 4x4, which sets buyers back by $98,590. However, this new CT6 variant is still more powerful and slightly less expensive than the 445-hp BMW 750i xDrive that's priced at $100,945. Aside from the detuned V8, the Platinum 4.2 is packaged more closely to that of the existing Platinum trim. For example, it will come standard with 19-inch multi-spoke wheels instead of the CT6-V’s 20-inchers. Fortunately, it does have magnetic ride control and rear-wheel steering as well as the Super Cruise semi-autonomous technology. It’s still a mystery as to how many CT6 Platinum 4.2s Cadillac plans to offer, but it probably won’t be that many because it’s still considered as something of a niche product. 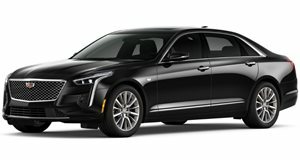 Some little details here and there are a bit off, but the Cadillac CT6 is overall a surprisingly competitive high-end sedan. Come for the timeless styling, stay for the dynamic and luscious ride.